Flickr/ByeangelA Xiamen Airlines Boeing 737-800 similar to the aircraft involved in the incident in Manila. 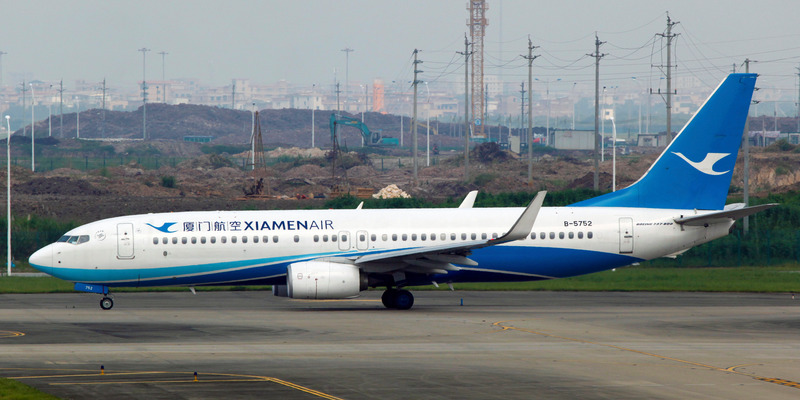 Xiamen Airlines Flight MF8667 crash-landed at Manila‘s Ninoy Aquino International Airport in the Philippines on Thursday night. A Xiamen Airlines jet crashed while landing at Manila’s Ninoy Aquino International Airport on Thursday night. There were no serious injuries among the 157 passengers and eight crew on board. Four people suffered “superficial scratches” while evacuating the plane, Channel News Asia reported. Photos of the scene show the Boeing jet sitting not far from the airport’s perimeter fence. The aircraft was leaning to the left as a result of the missing engine.